NEW YORK (WABC) -- Millions of Americans are heading to the polls on Tuesday, November 8, to vote not only for the next president of the United States, but also in important Senate, Congressional and local elections, as well on referendums and other questions. For those in New York, New Jersey and Connecticut, here's what you need to know before you head to your local polling station. Hours: Polls in New York are open from 6 a.m. to 9 p.m. If you're in line by 9 p.m., you will be allowed to vote. ID requirements: In most cases, you do not need identification to vote in the state of New York. If you are voting for the first time, however, you may need to show a photo ID to verify you are who you claim to be. Some form of identification may also be required when you first register to vote. Where to vote: CLICK HERE to find your polling station in New York. Elections will be held to elect representatives from all 435 congressional districts across each of the 50 states, including 27 in New York. The incumbent candidates include 18 Democrats and nine Republicans. CLICK HERE for a list of candidates. Additional information: For personalized ballots and in-depth information on candidates, measures and who supports them in your location, check out Voter's Edge New York, brought to you by abc7ny, at VotersEdge.abc7ny.com. Hours: Polls in New Jersey are open from 6 a.m. to 8 p.m. If you're in line by 8 p.m., you will be allowed to vote. 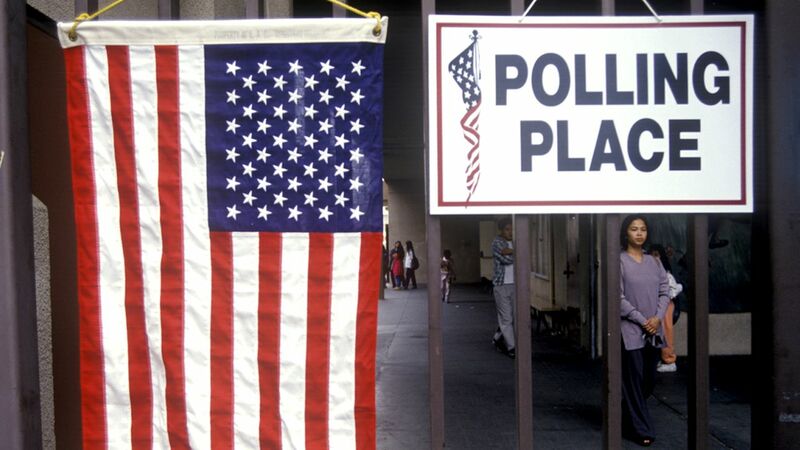 Where to vote: CLICK HERE to find your polling station in New Jersey. Elections will be held to elect representatives from all 435 congressional districts across each of the 50 states, including 12 in New Jersey. The incumbent candidates include six Democrats and six Republicans. CLICK HERE for a list of candidates. Additional information: CLICK HERE for more information about voting, candidates and ballot questions in New Jersey. Hours: Polls in Connecticut are open from 6 a.m. to 8 p.m. If you're in line by 8 p.m., you will be allowed to vote. ID requirements: Connecticut has two different ID requirements, depending on when you registered to vote. Most voters must present either a Social Security card or any pre-printed form of ID that shows your name and address, name and signature, or name and photo. If you cannot present an ID, you'll be required to sign a brief statement confirming your identity. If you're a first time voter who registered by mail and you didn't provide ID when you registered, you must present a copy of a current photo ID that shows your name and address or a copy of a current utility bill, bank statement, government check, paycheck or other government document that shows your name and address. Where to vote: CLICK HERE to find your polling station in Connecticut. Elections will be held to elect representatives from all 435 congressional districts across each of the 50 states, including five in Connecticut. All incumbents are Democrats. CLICK HERE for a list of candidates. Additional information: CLICK HERE for more information about voting in Connecticut.